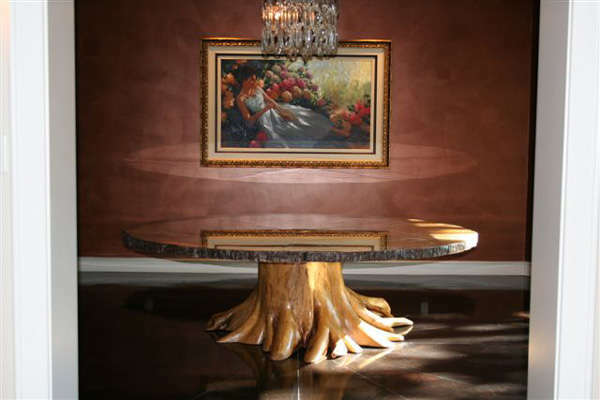 The " stump table " style was furthered in 2007, with the addition of this table created for a client of East Texas. 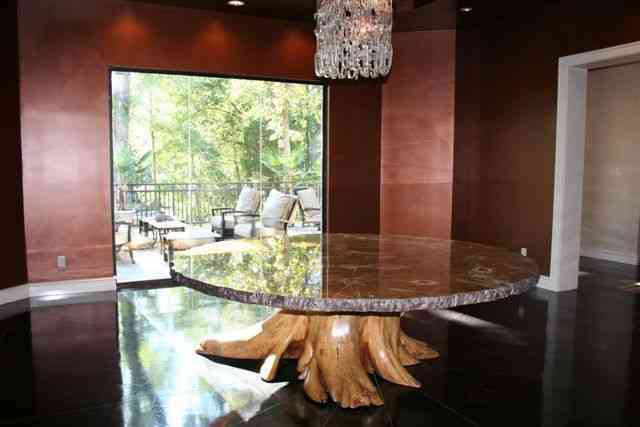 It features a root base and an 8 ft. diameter 2 inch thick onyx stone top with hand chiseled edging. Natural Granite and marble stone also available. 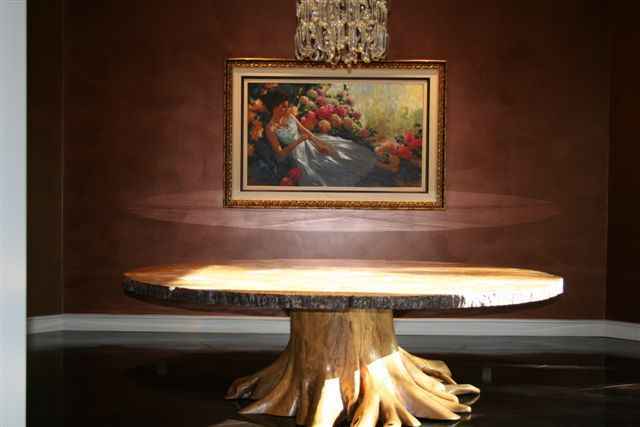 Rootball base stone top table. Click photo's below to enlarge. 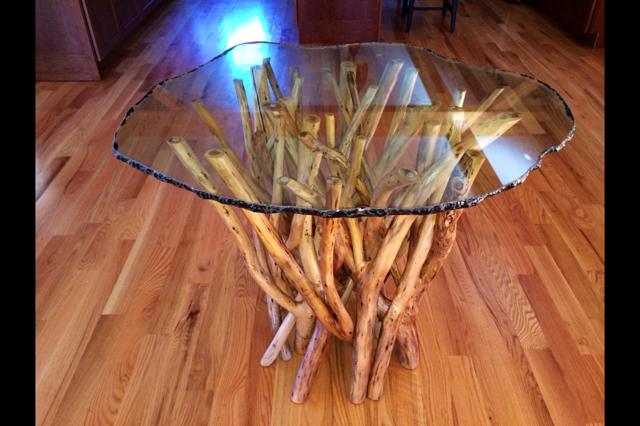 6) Tree Stump Table in progress. View a variety of stone materials, click Here. 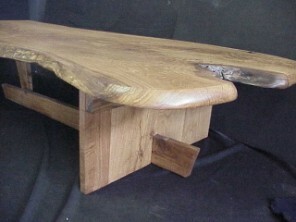 Also available are solid BURL, one piece slab tops, while they last. Click for more on that.